Halloween is definitely all about the dressing up and the decorations, but you don’t want anyone getting hungry, so Counting Coins collected 10 recipes that’ll make your guests drool like ghouls. This is great if your guests arrive while the sun is still out. 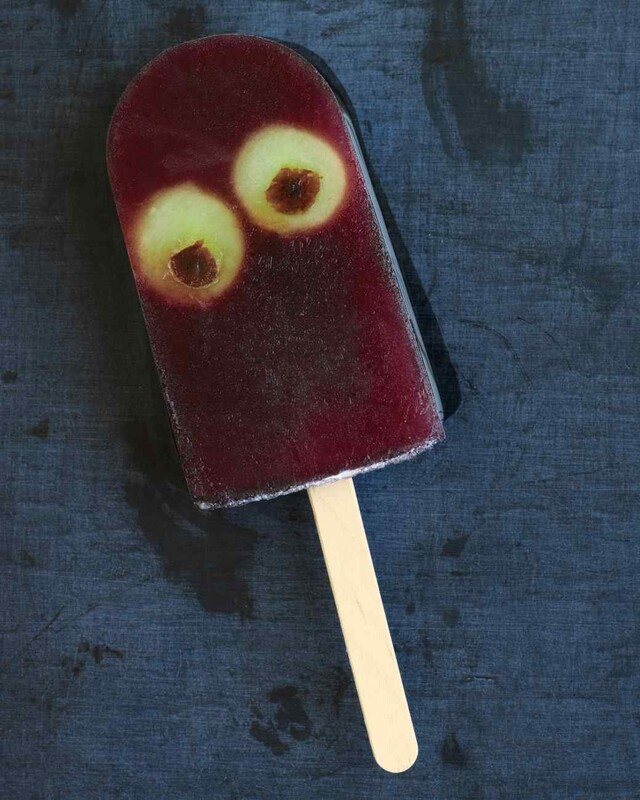 Halloween in South Africa is hot, and these ice lollies will keep everyone hydrated for the evening ahead. Whisk together juices, sugar and water until the sugar dissolves. Flatten the raisins with a spoon and press against the side of each melon ball. Put the melon ball into a mold, pour juice into the mold and insert ice pop sticks. Freeze until solid and serve. Makes six ice lollies. Also perfect for summer, these are great for a party beside the pool. This takes two ticks to prepare. 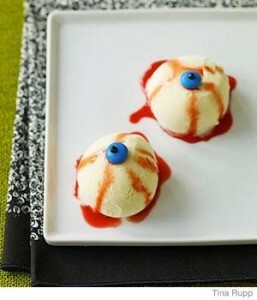 Scoop out balls of ice cream and drizzle with strawberry syrup to create the effect of a bloodshot eye. Pop on an M&M to create the iris and squeeze on some icing to form a pupil. Freeze until you need them. These worms are sure to be a hit for kids and parents alike. 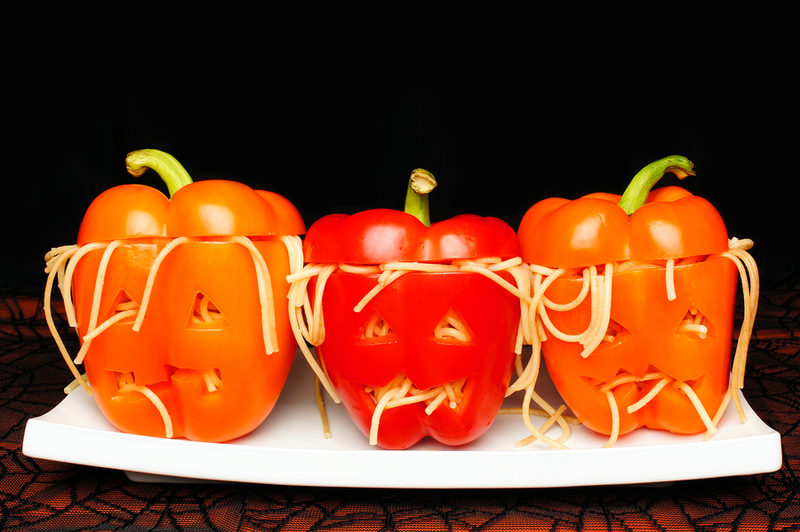 Don’t be fooled by their gross appearance – they’re delicious. Combine the gelatin and jelly in a bowl and add the boiling water. Let it cool a little and add the whipping cream and a few drops of the food colouring. You’re looking for the colour of an earthworm here, so add your drops accordingly. Flex the straws out and put them in your vase. 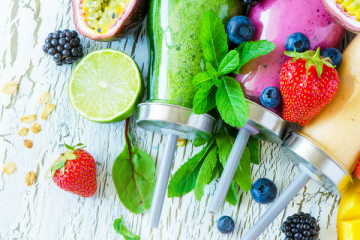 Make sure you have enough straws to fit tightly in the container so that the jelly can set properly. Try fastening the straws together with a rubber band to keep them together to help with this. 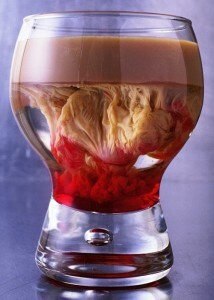 Add the jelly mixture to the vase and let it set in the fridge. 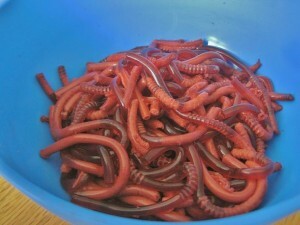 To remove the jelly worms from the straws, hold the straws under warm water, and they’ll slip right out. This very literal take on “finger food” will tickle your guests pink in all its gross goodness. 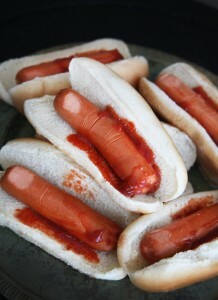 Use a knife to cut the viennas to look like fingers, see the picture for ideas. Put viennas in the buns, add some blood-red tomato sauce, and you’re good to go. 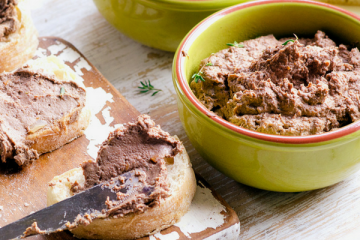 These will be a hit among your health-conscious or vegetarian guests. Prepare spaghetti as stated on the packaging. Add bolognaise sauce. Cut the top off the bell peppers and remove the pips in the middle. 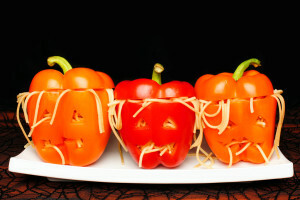 Use a sharp knife to carve a jack o’ lantern face into each bell pepper. Stuff with spaghetti and serve. 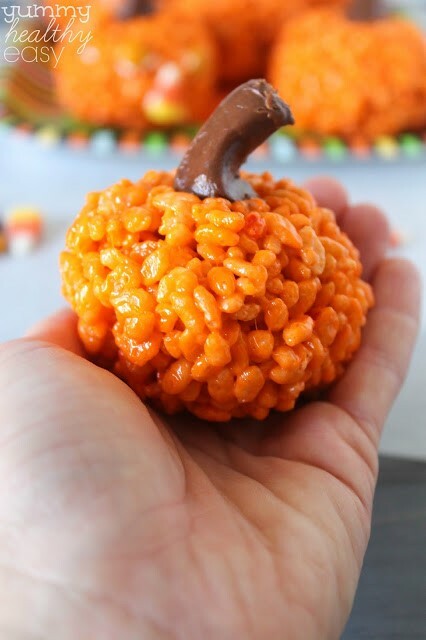 Krispies are a firm favourite at any kind of gathering, and these Halloween-themed Krispies are sure to be even more popular than the normal ones. Melt and brown butter in a saucepan on medium heat. Add the vanilla essence and marshmallows and stir until marshmallows have melted. Add food colouring to turn the mixture orange. Add the Rice Crispies to the mixture and stir until everything is combined. Turn the heat off and let the mixture sit until it has cooled enough to handle. When the mixture is cool enough, use a non-stick spray on your hands to make it easier to handle, and make little balls. Put half a Chomp on top to form the stem of each little pumpkin. Store in the fridge until needed, and enjoy. 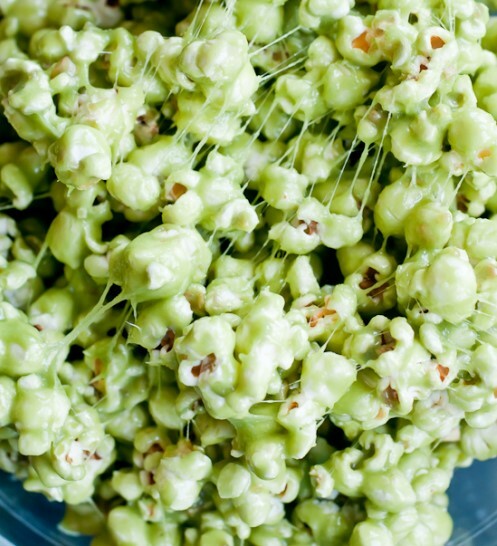 Sweet popcorn is also a crowd pleaser, and even though the green colour might look a little more disgusting than the norm, this is still quite delicious. Cook butter and brown sugar over medium heat until the sugar has dissolved. Remove from heat, add vanilla essence and marshmallows and stir until the mixture is smooth. Add a few drops of food colouring to get the right shade of green. In a large bowl, pour the mixture over the popcorn and stir until all the popcorn is covered. Store in an airtight container until needed. This makes 8 to 10 servings. This sweet treat will have your guests raving, but be careful not to have too many… it has a sneaky trick up its sleeve! Prepare one pack of jelly as the packaging instructs, add the amount of vodka you desire, and pour into shot glasses, filling them halfway. Store in the fridge until the jelly has set. Prepare the other pack of jelly and add vodka. 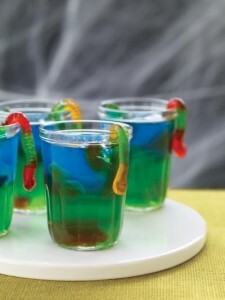 Put one gummy worm on top of the set jelly and let half of it hang over the edge of the glass. Pour the second jelly mixture into the shot glasses and store in the fridge until the jelly has set. 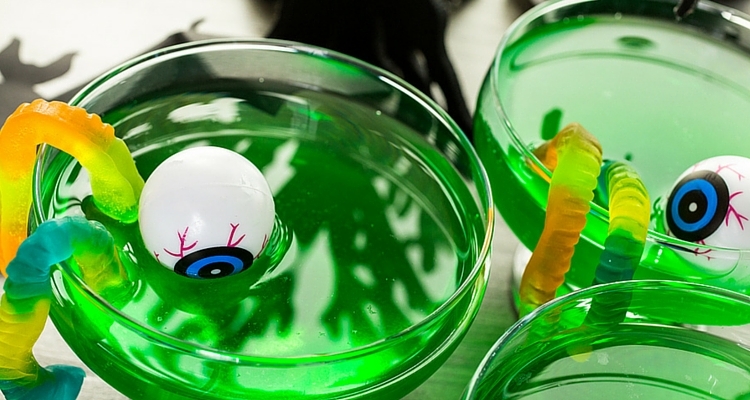 This shooter derives its name from its disgusting appearance, which is not unlike a zombie’s favourite snack – brains! Mix the lime cordial and vodka in a shaker and pour into a glass. Slowly add Amarula to create the curdled look that resembles a brain, slowly add grenadine and serve. Makes one serving. 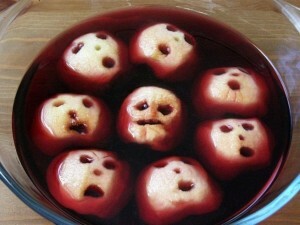 Keep the Halloween tradition of bobbing for apples alive with this delicious punch. Freeze the lemon concentrate before making the punch. Peel apples and carve faces into them to make the shrunken heads. Combine all the ingredients and add apples. Add water or other dilutants to taste, and enjoy.